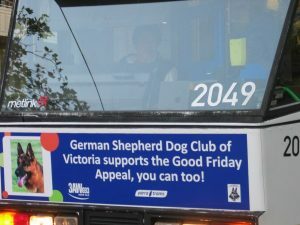 The German Shepherd Dog Club of Victoria (GSDCV) is actively involved with community based activities throughout the State of Victoria, and maintains active relationships with both state and local government authorities. In coordination with the respective educational and hospital authorities, appropriately trained dogs and their handlers actively participate in dog awareness programs for primary schools aged children, and visiting the sick and aged in hospital/aged care facilities. We have active members in the Delta Pet Therapy Program and the Story Dog Program. 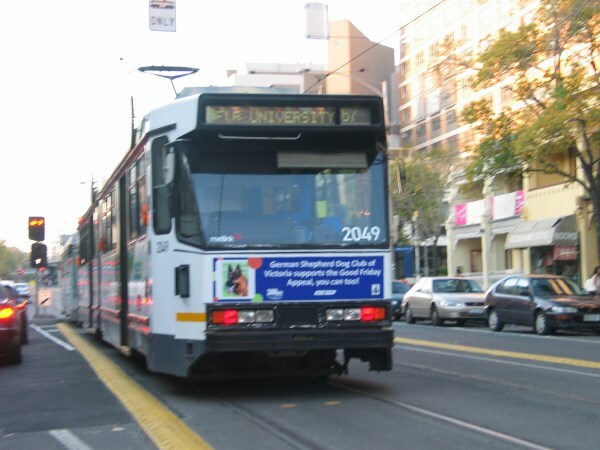 For over 35 years we have collected funds for the Royal Children’s Hospital Good Friday Appeal, and supported promotion initiatives (Our Face on a Tram) for many years. The GSDCV maintains close relationships with councils through participation in the Responsible Dog Ownership Program. This program is designed to encourage dog owners and their dogs to gain a basic level of obedience instruction suitable for interaction in the wider general community. While a number of all breed clubs cater for dogs of varying pedigree/cross-breeding, the GSDCV runs a program once a year specifically designed for German Shepherd owners and their dogs that are non-members of the Club. Leveraging the relationship that the GSDCV has developed with councils, the Club also provides leadership in reuniting lost registered German Shepherd dogs with their owners, and advice to members and relevant councils in those instances where members and their dogs have infringed local government regulations. The GSDCV has linkages with State based authorities, such as the Victoria Police, the Victoria State Emergency Service and Victorian Prison Service who use German Shepherd dogs in their line of work. These linkages involve the sharing of information on breeding and training, general promotion of the breed, and on occasion advice in recruiting suitable dogs for these services. 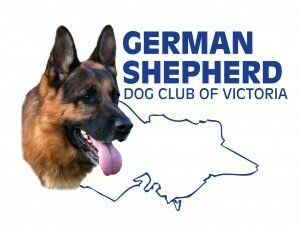 The German Shepherd Dog Club of Victoria (GSDCV) in partnership with the Victoria State Emergency Service Central Region (VICSES) successfully raised some $15,000 through their 2003 annual community fund raising drive. 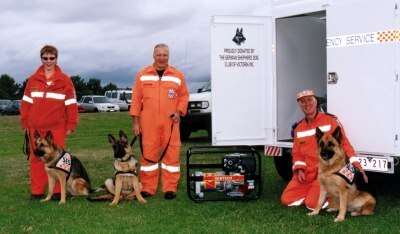 The GSDCV used the proceeds to purchase a Command Trailer and other field equipment for the VICSES Search Dog Squad to use during training exercises and operational emergencies throughout Victoria. Southern Cross Search Dogs (SCSD) is a volunteer not-for-profit organisation to service the needs of the Australian Urban Search and Rescue (USAR) Task Forces by providing canine USAR capabilities to find survivors in the event of building collapse. In 2015 we funded GSDCV Member Elke Effler and her GSD Jochen to attend USAR training in Switzerland. 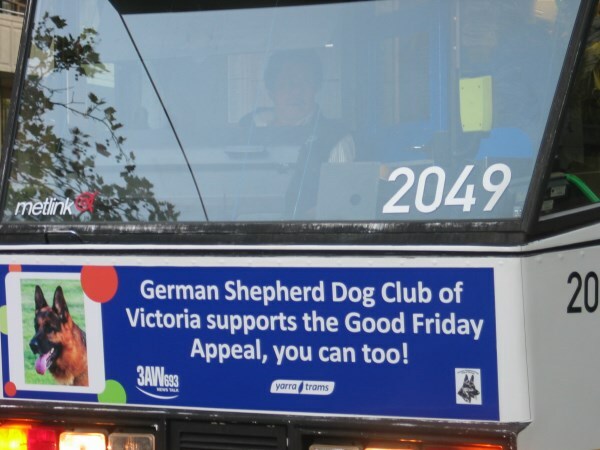 Over the years, the GSDCV has both initiated and participated in a series of annual community fund-raising activities that provide an opportunity for the Club to promote the German Shepherd Dog breed. Such community fund-raising activities include the well-publicised Good Friday Appeal in support of the Melbourne Royal Children’s Hospital, the Melbourne Animal Expo, and the Whittlesea Agricultural Show. Following the 2009 Black Saturday bushfires, we raised $4100 that was donated to Vets and wildlife organisations in the Whittlesea area. In previous years as the German Shepherd was becoming established within Australia, the GSDCV worked closely with politicians to realise better opportunities for our breed. Don Chipp, as a member of parliament was instrumental in helping in this area, so much so he became Patron of the GSDCV until his death. Our work in the political arena continues to further the best interests of the German Shepherd Dog.